Discover the Value of Speedy Results. 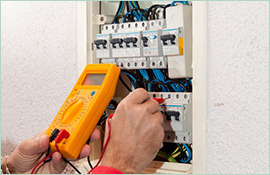 Contact our Prompt Electricians in Homebush Today. Your schedule is carefully divided – with every hour claimed for work and family; you account for every precious second. You organise each day for maximum efficiency. Waiting for an electrician to arrive, therefore, is less than ideal. You sigh, tapping your foot as you glance (once again) at your watch. He promised an early morning appointment, but the afternoon is now approaching. He’s wasted your time. 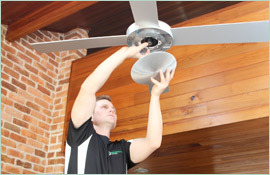 Paul’s Electrical Services recognises that our clients lead busy lives, and this is why our electricians in Homebush embrace a prompt philosophy: they arrive on time every time. 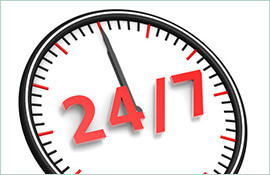 We adhere to each schedule, ensuring that men and women don’t spend their days in frustration. Speed drives every decision. This promise of service extends beyond the appointment process, with our electricians in Homebush delivering expediency with every call. We offer a variety of residential options – including surge protection, blackout solutions, switchboard and safety switch installations, stoves and hot water assessments, and more – and we pair these options with efficiency. 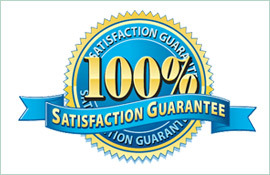 Our solutions are quick, custom, and intended to promote convenience. Don’t endure the endless delays and missed appointments. Let our electricians in Homebush instead provide effective results – blending qualified workmanship with dedicated support. To learn more visit our Testimonials page. Your time is invaluable, and we strive to ensure that you don’t waste it. Schedule an appointment with Paul’s Electrical Services today. Contact our team by phone (0-409-337-439) or by email (paul@paulselectrical.com.au) to receive a fast reply.